HD 217107 is a yellow-orange main sequence dwarf star of spectral and luminosity type G7 V, although it has also been classified as a G8 subgiant (IV). The star has about 98 percent the mass of Sol (HD 217107 at exoplanets.org) and 1.1 times its luminosity. The star is twice (2.0) as enriched as Sol with elements heavier than hydrogen ("metallicity"), based on its abundance of iron (HD 217107 at exoplanets.org). Given that the star is brighter than Sol despite a similar mass, HD 217107 is likely to be more highly evolved because it is substantially older than Sol's 4.6 billion years. Useful catalogue numbers and designations for the star include: HR 8734*, Hip 113421, HD 217107, BD-03 5539, SAO 146412, and FK5 3836. 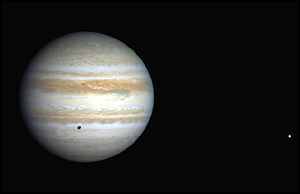 In 1998, a team of astronomers (Debra A. Fischer, Geoffrey W. Marcy, R. Paul Butler, Steven S. Vogt, and Kevin Apps) announced the discovery of a Jupiter-class planet around HR 217017 using radial-velocity methods (Fischer et al, 1999). 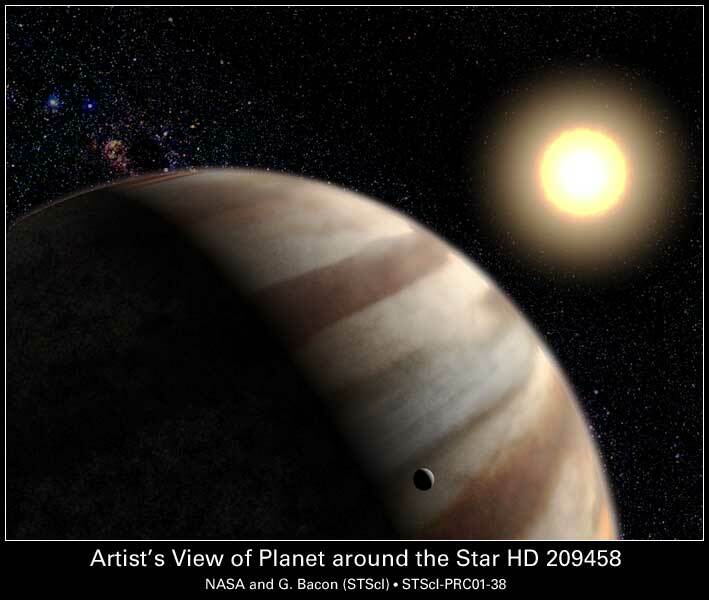 Planet "b" has at least 1.3 times Jupiter's mass, and, given its relatively short orbital period, the absence of tidal spin-up in its host star provides a theoretical maximum mass of less than 11 Jupiter masses The planet moves around HD 217107 at an average distance of only 0.07 AUs (a semi-major axis well within Mercury's orbital distance) in a highly circular orbit (e=0.14) that takes only 7.1 days to complete. Assuming a Jupiter-like composition, its radius may be about 1.2 times that of Jupiter, enlarged relative to Jupiter because of greater absorbed stellar radiation in its inner orbit. 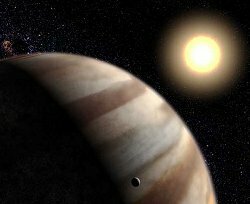 A residual drift in the radial velocity data over several years suggest the presence of an even larger planet "c" in an outer orbit from HD 217107 (Multiple Planet Systems at exoplanets.org). 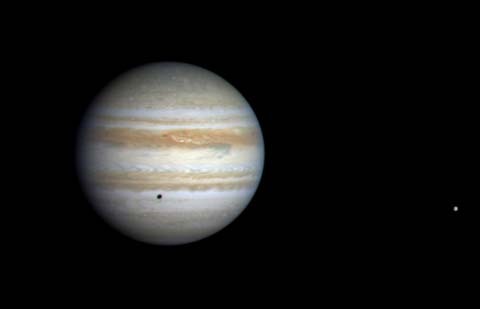 Planet c may have more than four times the mass of Jupiter. Assuming an orbit that takes more than two years to complete and HD 217107's mass of 0.98 Solar, it may lie at an average orbital distance of 1.6 AUs. The following table includes all star systems known to be located within 10 light-years (ly), plus more bright stars within 10 to 20 ly, of HD 217017. Up-to-date technical summaries on this star can be found at: Jean Schneiders's Extrasolar Planets Encyclopaedia; the Astronomiches Rechen-Institut at Heidelberg's ARICNS, and the Nearby Stars Database. The "Winged Horse" is one of the larger constellations of the Northern Hemisphere. For more information about the stars and objects in this constellation and an illustration, go to Christine Kronberg's Pisces. For an illustration, see David Haworth's Pisces. © 1998-2003 Sol Company. All Rights Reserved.